Things are going great! Summer is in full swing and it's hot here in Florida. It's quite an adjustment for this guy from California. Hot, and now on top of that, rain. Got up at 4:30AM today to shoot a sunrise, but no sunrise to be had. Cloudy and plenty of rain. Decided to walk the dogs, clean house and hit the gym instead. 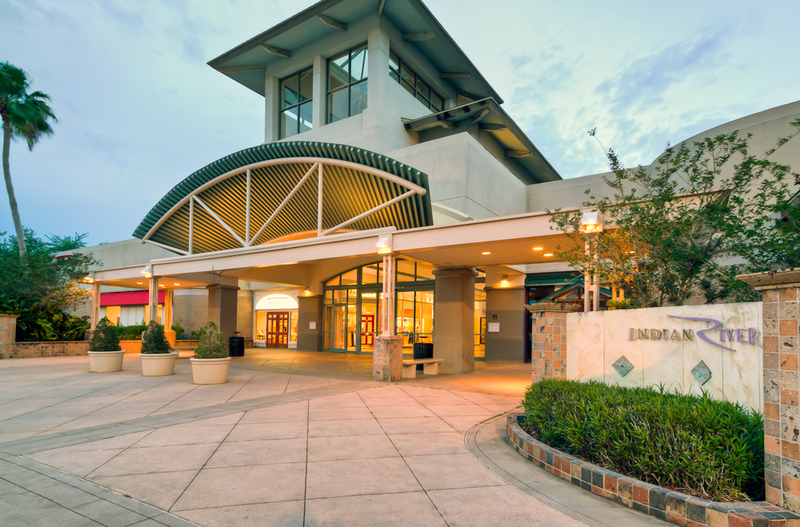 Seems as though the Indian River Mall here in Vero Beach, Florida is on the market. I was called on to shoot the property. Thankfully, I didn't have to shoot the entire 736,000 square feet of it. Just the main building, a few store fronts and some of the surrounding properties. To say the least, it was still quite an undertaking. I'd never shot a property so large and it was hard to get my head around. After reading a few articles and making a plan of attack, I went for it. The customer, Bayer Properties was very pleased with the results. I'm hoping that the mall will eventually sell and stay open for business. It's the closest mall in my area. A few of the shots can be seen in my real estate photography gallery. A lot of my time recently has been devoted to redesigning my Mom's website. Her old website (still up at the time of this post) is html (which I'm not real familiar with) and Flash (which doesn't work on a lot of devices these days) has been in need of a long overdue update. I'll be launching the updated website mid-August. As of now, I've shot about 60% of the photos on the site, but that number will probably increase a bit. I'm using stock photos as place holders for now, but honestly, they're pretty good, I my keep some of them. Keep a lookout. Here's to catching some sunrises, sunsets and waves very soon. Best regards. Cheers!